No more guess works! 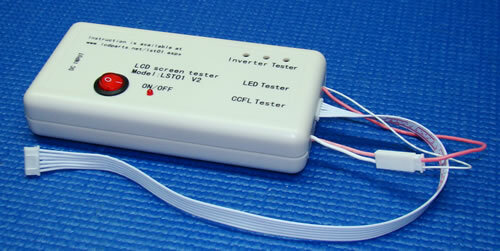 This custom built LCD Screen Tester can help you isolate problem between CCFL Backlight Lamp and Inverter in seconds. It also comes with a new 12V AC Power adapter. Must have it tool for people who offer Laptop computer repair service. Save Time! Save money! 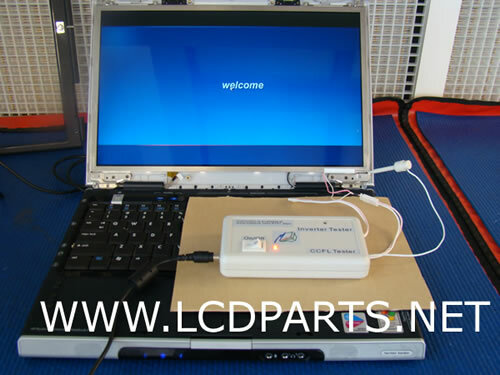 Although LST01 is custom build for Laptop screen repair, it also can test other type of LCD screens CCFLK lamp, too. 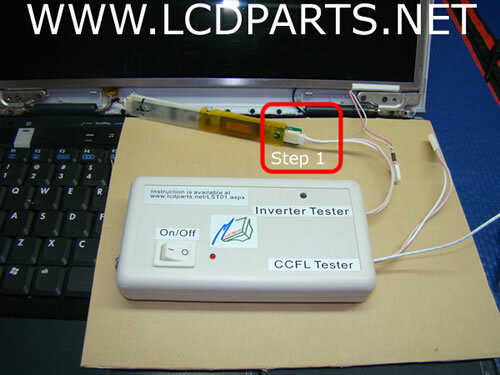 Step 1: Connect Inverter Tester male to CCFL Tester female. Step 2: Connect 12V DC Power adapter to LST01. 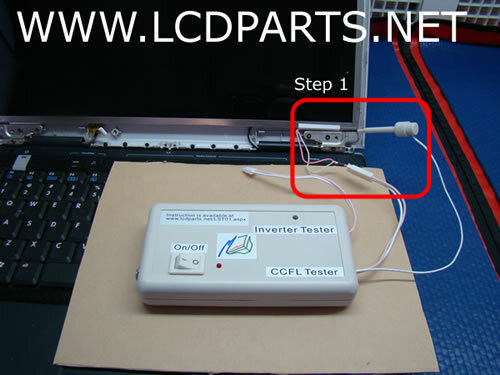 Connect CCFL Tester (female Connector) to your Laptop Screen CCFL connector. 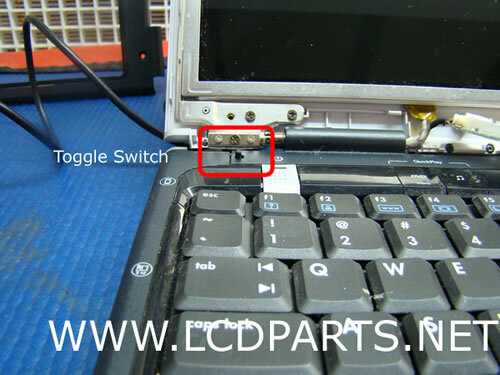 Connect Grounding wire clip to any metal part on Laptop screen assembly. Step 3: Turn on power switch. 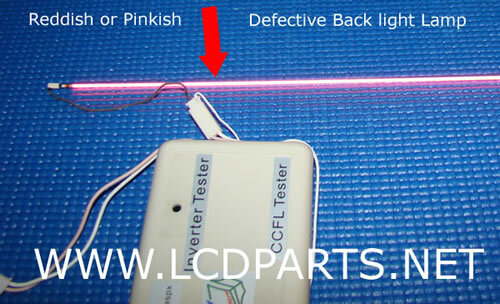 If the Laptop screen lights up, then your CCFL back light is working fine (You could also confirm by turning on the laptop computer, you should see all contents on the screen). 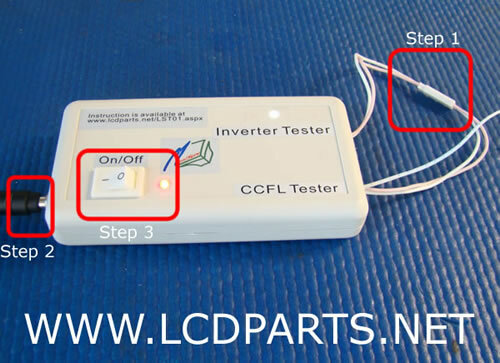 Then the problem may cause by the defective inverter. Step 2: Turn on your Laptop computer. 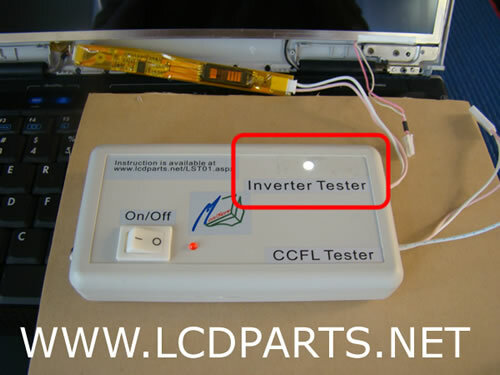 If CCFL lights up (In side LST01, as shown picture below), then the Laptop inverter is working. If CCFL does not light (In side LST01, as shown picture below). Then your need a repalcement inverter. Please click here to find your replacement inverter. 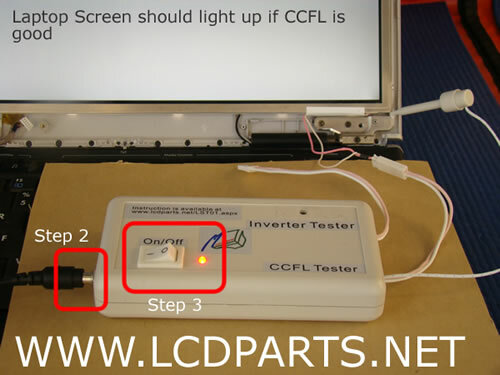 How to test CCFL on other type of LCD Screen.